Winter roads in Atlantic Canada can get messy so we’ve complied a list of tips to keep you safe. 1. Get your vehicle checked by a mechanic during fall. Have them go over the engine, battery, brakes, ignition and headlights to make sure your vehicle is winter ready. 2. Get your winter tires on and properly inflated. 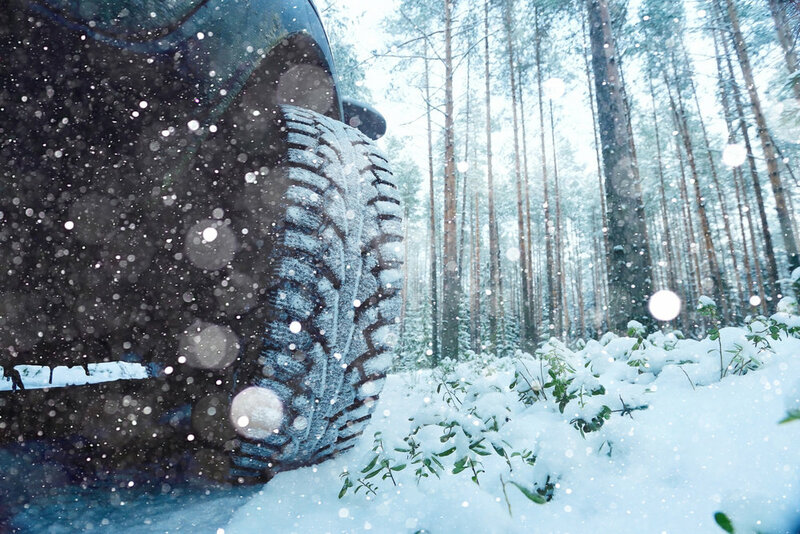 High quality winter tires will give you best traction on winter roads and increase fuel efficiency. Tire pressure should be checked after the car has not been driven for a few hours. Tires are supposed to be inflated to the pressure listed on the door when they are cold, not once they have warmed up from driving. 3. Plan ahead. Check the weather forecast and road conditions before heading out. Don’t take unnecessary chances. Allow yourself extra travel time or wait for conditions to improve. If the weather reports heavy snow, freezing rain or drizzle, cold snaps and winds then use caution. If it reports Blizzards which are the worst winter storms then reconsider your commute until it passes. 4. Turn your car on the defrost heat setting while removing the ice from the windshield. Clear all snow and ice from all windows and the roof of your car. 5. Turn on your lights when visibility is bad at anytime of the day. 6. Leave sufficient braking distance between you and the vehicle in front of you. Tires have less traction on wet or snowy roads, so it takes longer to stop. 7. Keep the fuel tank close to full as much as possible. It’s always a pain in the event of running out of gas but it’s a lot worst in the winter. 8. Never brake suddenly. Pump your breaks slowly so you don’t end up seizing and losing control on icy patches. 9. If your car starts to skid. Take your foot off the acceleration and focus on where you want your car to go using only slow movements of the steering wheel. Find more tips on what to do when skidding at Transport Canada. 10. Beware of black ice by driving as if the road is covered in ice. Black Ice is a thin sheet of ice that appears invisible to the naked eye. If your car doesn’t feel ready for winter then it might be due for an upgrade. Visit ClutchCanada.com for fully inspected vehicles that are hand picked to handle the elements. With Clutch Protection Plans you can feel assured when driving on winter roads with 24/7 roadside assistance and collision support.